Every year, more and more of the content we watch comes from dedicated streaming services. Where once BBC, ITV and Channel 4 were the main content providers, these days, a lot of people watch their programmes almost exclusively via on-demand services. However, just because you’re watching something using a streaming service, doesn’t mean you want to watch it on your computer. Huddling round a laptop screen, tablet computer or even a phone can diminish the viewing experience and cause you to miss out on the great sound and picture quality most shows are streamed with. The best way to get the most out of your favourite shows is to watch them on your TV. Giving you a large screen and a ready-made sound system, watching on-demand shows via your TV will help to ensure you really enjoy the experience. If you’re not sure how to stream shows through your TV, or if you just want to find out which devices are most compatible with your favourite streaming services, we can help. Keep reading to find out more. If you’re new to the world of streaming and on-demand services, we should start with the basics. Essentially, services like Netflix, Amazon Prime and BBC iPlayer are all internet-based platforms that allow you to stream online content straight to your home, whenever you want. As these services operate over the internet, you’ll need a smart TV if you’re going to watch them on a big screen. Smart TVs are internet-enabled and so are able to connect to your WiFi router and stream content straight from the web. As well as enabling you to watch Netflix, Prime Video and iPlayer, smart TVs allow you to search other online platforms like YouTube and to connect devices to your TV using your WiFi network. Although this may sound complicated, once you get to grips with your new, 21st century TV, you’ll wonder how you ever lived without it. Netflix is one of the most popular streaming services around. According to CNN, the service has almost 150 million subscribers worldwide, making it one of the most watched sites on the web. Some of its most famous shows include The Crown, Making a Murderer and Stranger Things. Luckily, if you want to enjoy Netflix shows on your home TV, there are plenty of models to choose from. Panasonic offers some of the best smart TVs on the market at the moment. 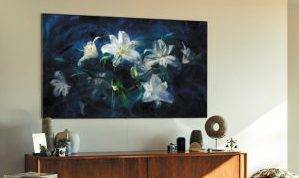 From this more basic Panasonic TX40FS503 LED Full HD to their exceptional Panasonic TX55FZ802 OLED 4K UHD, the company has produced a number of excellent models in recent years. Investing in a full HD TV will help to ensure that you don’t miss any of the visual detail contained in your favourite shows. Colours will be brighter, images crisper and faces in better focus than you’ve ever seen before. The Samsung QE55Q9FNA QLED 4H UHD TV takes things one step further. Presenting you with ultra HD images, this model is ready for the future of streaming and will provide you with the highest quality TV for years to come. Amazon Prime membership comes with a lot of benefits. As well as having access to a huge variety of movies and TV shows, you’ll also be able to benefit from free one-day delivery when you buy products on Amazon and will have access to a range of exclusive deals through the web giant. Like Netflix, Prime Video is available on all Panasonic, Sony and Samsung smart TVs. This gives you an excellent selection of models to choose from when you’re next adding to your home entertainment system. If you’ve had Panasonic TVs in the past and want to stick to what you know, the best model to go for is the Panasonic TX55FZ802 OLED 4K UHD. This high-quality device will give you exceptional image quality and great sound. What’s more, its 4K Ultra HD display ensures the TV is futureproof and ready for the new advances that are going to come its way. The BBC has put a lot of investment into its streaming service in the past few years and iPlayer is now one of the most watched sites on the internet. Home to all your favourite BBC shows, as well as a host of original and imported content, the streaming service is a must-have for TV addicts everywhere. BBC iPlayer can be viewed on all Panasonic, Sony and Samsung smart TVs. If you’re looking for an affordable smart TV with great picture quality, the Panasonic TX40FS503 LED Full HD is an excellent choice. Able to stream a variety of services and offering excellent connectivity, the TV will help you to enjoy all your favourite online shows. If you have a little more in your entertainment budget, opt for the Sony KD55XF9005 LED 4K UHD. Offering an Ultra HD display and great sound quality, it will make the perfect addition to your home. Although it doesn’t currently have quite the same reach as Netflix or Amazon Prime, Now TV is rapidly growing in popularity, with millions of people now using the service. 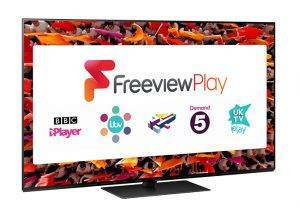 Unlike Netflix, Amazon and iPlayer, Now TV is only available on Samsung smart TVs. Choose the Samsung QE55Q9FNA QLED 4H UHD for the best possible viewing experience. One of the most popular specialist streaming services available, BT Sport is a must-have for fans of all things sporty. Like Now TV, BT Sport needs to be viewed on a Samsung smart TV. 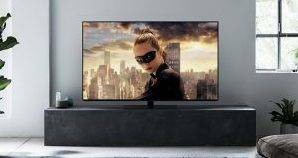 If you don’t currently have a Samsung, or if you’re looking to upgrade your current model, the Samsung QE55Q9FNA is the ideal TV for your home. With so many excellent smart TVs now on the market, finding a model that suits you perfectly should be easy. Find out more about the options available, and start shopping for your new TV, by visiting our site today. We can deliver and install too!